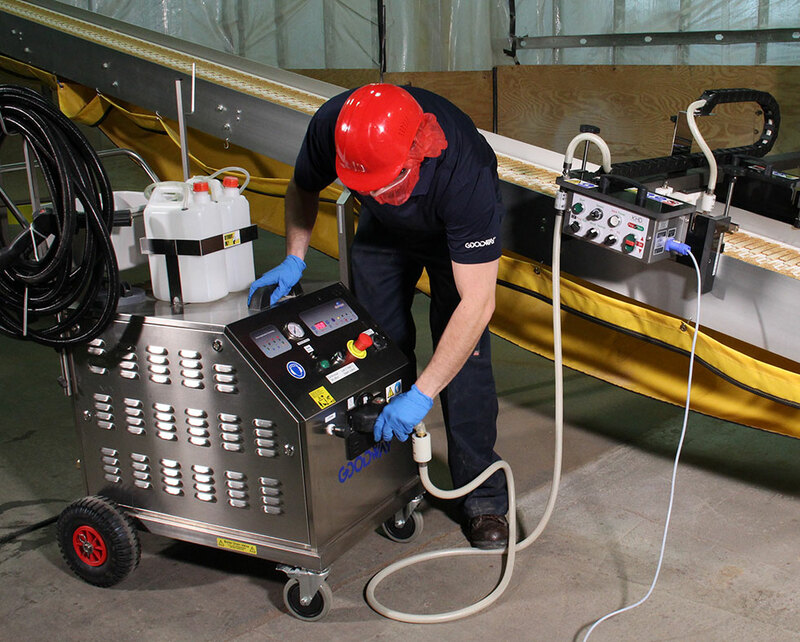 For larger, continuous cleaning and sanitizing needs at a food processing plant, factory or industrial park, this is the dry steam cleaner for you. 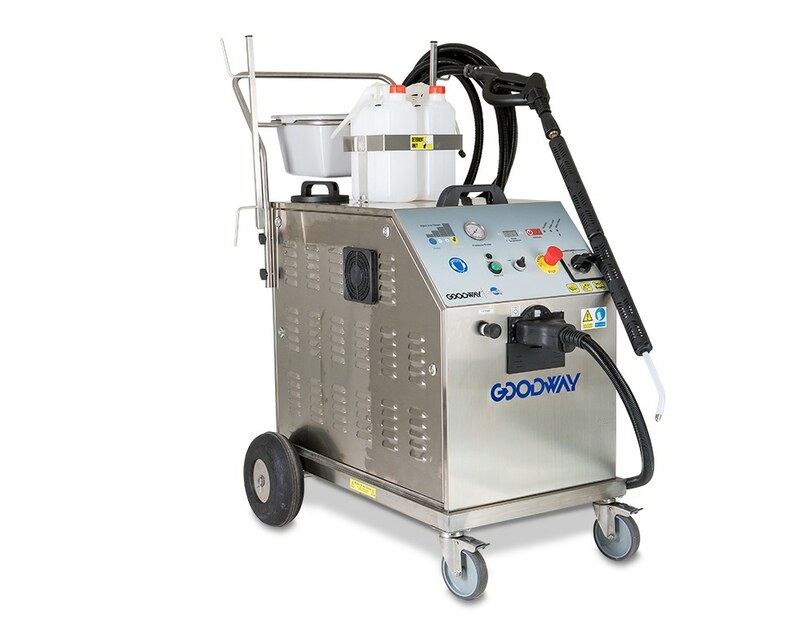 Compact, maneuverable and very powerful, the GVC-36000 is a commercial heavy-duty, industrial three-phase Dry Steam Cleaner. Quad stainless steel boilers heat tap water from a 10.4-gallon tank - or direct hose connection - producing a variable output pressure of 0-145 PSI and an output temperature of 290F obliterating oils, dirt, allergens, and bacteria on contact. This unit produces a continuous steam at 17.5 gallons per hour and comes equipped with hoses and vapor-steam gun and attachments, as well as two chemical tanks for cleaner injection. Works great as a stand-alone product or with our conveyor belt cleaning systems. Simultaneous vacuum option available for advanced cleaning. 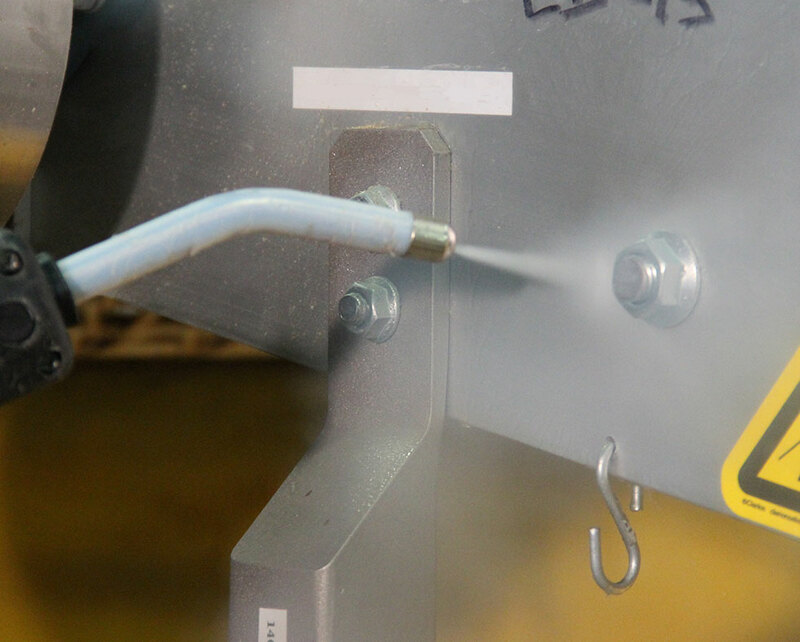 Heavy-Duty Dry Steam Cleaner. 53 Amp, 480 V, 60 Hz AC, three phase. 33' hose with a pistol grip. Two soap containers. Quad stainless steel boilers. Complete accessory kit including: One (1) 20' wand, one (1) 40" wand, four 2-1/4" circular nylon brushes, four 2-1/4" circular brass brushes, four 2-1/4" circular stainless steel brushes, four 1-1/2" circular nylon brushes, four 1-1/2" circular brass brushes, four 1-1/2" circular stainless steel brushes, four circular nylon scrubbing brushes, four circular brass scrubbing brushes, four circular stainless steel scrubbing brushes, multi-brush tool, safety glasses. Adjustable moisture content - 5-15% Water content.